I'll have a couple of paintings on display at the gallery. Hope to see you there! 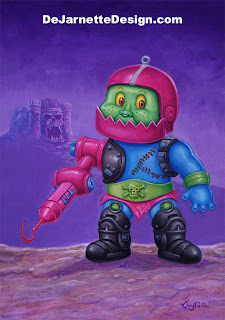 Here's a second acrylic painting for Gallery 1988's art show: “Under The Influence: He-Man and the Masters of the Universe”. Opening reception date is January 8th, Friday night. The show will run through January 29. Here's a link to some of the other participating artists work. 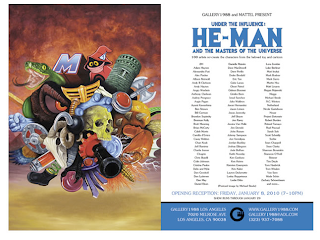 Here's one of my paintings that I was commissioned to do for Gallery 1988's art show: “Under The Influence: He-Man and the Masters of the Universe”. 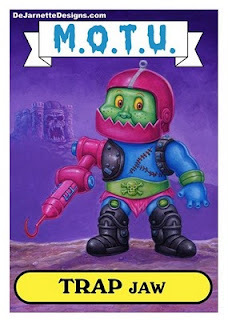 They are teaming up with Mattel to bring a variety of artistic interpretations of the He Man characters. 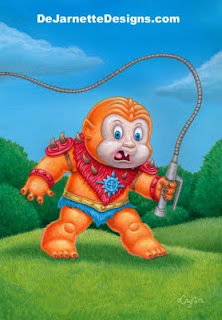 The acrylic painting above is Beastman done in the style of Garbage Pail Kids . 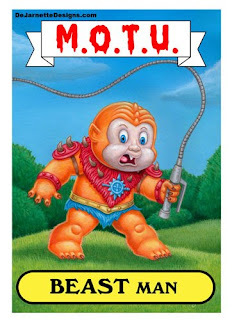 GPK master, John Pound painted He Man and Skeletor in the style as well. Here's the LINK.